Bonobos, an e-commerce men’s clothing brand, is opening its first brick and mortar store in Florida at Wynwood Arcade this quarter. The Bonobos Guideshop will join tenants that include fashion retailer Muse, the Salty Donut and furniture store Patrizia Bozzi Design. Bonobos launched online in 2007, later expanding in 2012 with brick and mortar stores, now up to 20 across the United States, and through a partnership with Nordstrom. The New York-based company will open in a 1,400-square-foot space at the development, which runs along Northwest 24th Street. East End Capital redeveloped the property into a 25,000-square-foot retail and restaurant space. 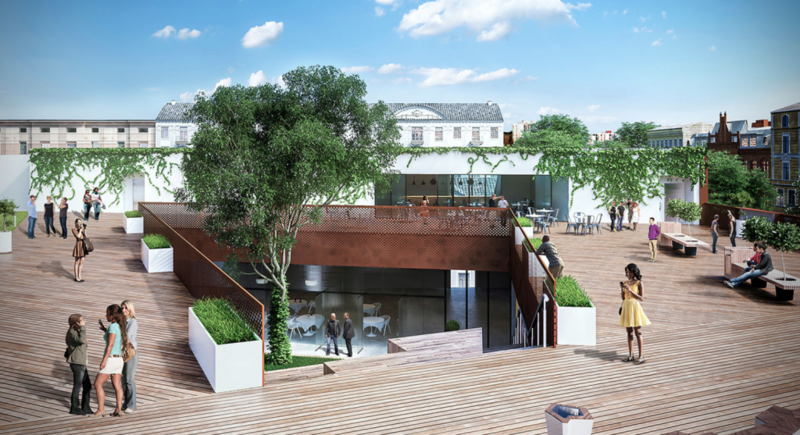 The adaptive re-use project has four entrances, an open-air central atrium, a cascading staircase and a rooftop bar and event space. The building is wrapped in a Wynwood-inspired mural. Tony Arellano, executive vice president of Metro 1, is the leasing agent. Asking rent for the Wynwood Arcade is $55 triple-net, East End Capital Vice President Mark Schrieber told The Real Deal, which would mean Bonobos is paying $77,000 annually. East End Capital and Yellow Side Ventures paid $11 million for the entire block on the west side of North Miami Avenue, between 24th Street and 25th Street, in January. The purchase included a separate parcel across the street.